A few months ago, a number of workers from Bisha-Nevsun Project (owned by the Eritrean government and Canada's Nevsun Resources Ltd.) have managed to escape to Ethiopia, and they are now living in one of the refugee camps located in Tigray. 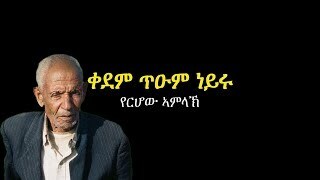 Two of them, Abadi Ghebremeskel and Legesse Berhe, have been extensively interviewed so far. HRCE (Human Rights Concern Eritrea) has kindly provided us with the audio version of those interviews. In due time, we will provide the video version of the interview. Since the interviews are about three hours long and conducted in Tigrigna language, below we are summarizing them in English in a categorical manner, supplemented with our interpretation of what is going on the ground based on the data extracted from the interviews. The content of this summary depends on the interviews in the audios and follow-ups. The first part deals with the stark difference in the way the foreign workers (mainly from South Africa and Zimbabwe) and native Eritrean workers are treated by the companies in the mining project: from the food they eat and lodgings they live to the salaries they get and the type of insurances they are covered with. The second part will further look at this difference, but will entirely focus on the safety factor; given the hazardous nature of the work, this is a vast subject matter on its own. The third part will deal with the security apparatus of the PFDJ (the ruling party in Eritrea - the one and only), with its tentacles clandestinely spread throughout the workforce. In conclusion (the fourth part), after briefly touching other points not covered in the three parts mentioned above, we will see how the government’s effort to maximize its profit at the expense of native workers has created a hazardous work environment and poor quality of life to the workers. At the end, we will propose that, based on the interviews, sanctioning the mining sector could only be to the benefit of Eritreans, in particular, and the region, in general. There are about 400 South African and Zimbabwean workers hired by Senet (a South African company), the General Contractor. These are the well treated ones. They have their own compound with their cafeteria and living quarters. They are well fed, their food comes from outside. Their lodging quarters are well built and comfortable. They have buses to transport them from their working to lodging places. And when it comes to their safety, it matches the international standards. The workers are provided with all the necessary safety equipments: industrial gloves, hard hats, goggles, steel-toed boots, safety belts, etc. And, besides, in case of accidents and illnesses, they are well-insured. And in what matters most, the salaries, they are well paid. It is not easy to get the exact figure from the interview, but it is easy to find out. One interviewee mentions $4,000 and $7,000 as salaries per month paid to some of the foreign workers, but the source seem to be the foreign workers themselves and cannot be taken as reliable source. Besides, even if there are some paid this much, we don’t know how much the average worker is paid. A better source would be the mining industry itself – the one in South Africa, given that both the General Contractor (Senet) and the workers are from South Africa. The minimum that we should expect is that the foreign workers are being paid in South African standard. Usually, people who are willing to go to work outside their country are paid higher salaries; they get extra stipend for working outside their country. And if the nation that they are sent to happens to be to be of high risk – due to extreme temperatures, poor health conditions, unsafe environment, etc, the payment goes higher. In addition, we should expect that they are specialized in their profession. I we stick with the South African standard payment, the payment, depending on the specialty of the worker goes from 120, 000 rands to 800,000 rands per year ($17,385 and $115,900 respectively) [ CLICK HERE TO VIEW SALARY SCALE]. For comparative reasons, we will take only the barest minimum so as to remain on the safe side. There are some Eritreans who hired directly by Nevsun (and not by the subcontracted government companies) who are considered to be part of the workforce that includes the foreign workers, and as such are treated in the same manner as the South African workers (food, lodging, etc.) except in what matters most – payment. Although they receive much higher salary than their Eritrean counterparts working for the subcontracted companies, they are paid in Nakfa (the local currency). Since the official exchange rate is much lower than what it fetches in the black market, almost 65% of their salary directly goes to the government this way. The black market exchange rate system is about 45 Nakfa for one dollar, compared to the official 15 Nakfa for one dollar; and it is the former that reflects the real market value of Nakfa. Thus, the regime pockets two thirds of the workers’ salaries through this single banking scheme. 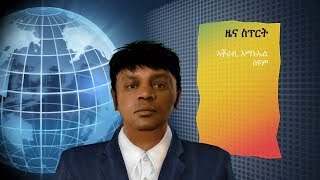 Abadi Ghebremeskel talks about Eritrean welders, machinists and Bulldozer drivers being paid 3,000, 6,0000 and 10,000 Nakfa respectively. This would roughly be the equivalent of $80, $160 and $250 respectively. And then he mentions that about half of that is further cut by the government for various reasons. In the end – after the exchange rate robbery and all the other cuts – they get about $40, $80 and $120 respectively. So the picture that is emerging is clear: for the same job, a South African worker is paid ten to twenty times more than his Eritrean counterpart! And these are supposed to be the lucky ones. The case of the Eritrean workers hired by the subcontracted companies like Segen, Mereb and 74 – all government owned companies – is much worse. It matters a lot how these workers are treated because these PFDJ companies hire the most: about 3,000 of them. These are the poor souls who built the entire infrastructure, and are now involved in doing all that needs intensive labor. The average payment is as low as it could possibly get: about 1,500 Nakfa per month. Put in dollar, it doesn’t even amount $40. Out of that, they are forced to spend 500 for food. And the food, as the interviewees remind us, is terrible. Given that they are the ones who are mercilessly overworked, often 16 hours long, with little or no pay for their overtime, it is important that they eat well. But all that the interview mentions is measly bread and lentils (Kitcha and shiro). Their lodging quarters also happen to be dismal. They are lodged 4 kms away in a make shift camp made of flimsy materials (Kantcha), vulnerable to the kamsin (sand winds) of the desert. Besides, these kinds of houses happen to be susceptible to the extreme temperatures of the desert – very hot during the day and very cold during the night. Poorly fed and overworked, they are also supposed to weather the harshness of the elements. And if anything happens to them, there is no safety net they could depend on. Working in such a hazardous environment, they happen to be only nominally insured [more on that below]. Battalions of conscripted soldiers from the national service are brought to the workplace clandestinely. The reason is obvious: both Senet and Nevsum would be hard pressed to explain to the world why they let their subcontracted companies use slave labor; and for that matter, so extensively. As one of the Senet managers once told the workers, their company will find it hard to get contracts anywhere else if doesn’t do its job according to internal guidelines. And the strictest of those guidelines is: never to use slave labor. So, to say the least, Nevsun and Senet would be uncomfortable if they are made to know what is going on. The PFDJ is well aware of this, and tries to spare them from the knowledge of it. But it would be hard to believe that these companies don’t know what is going on; by now, they must be resigned to it. So far as the dirty secret remains inconspicuous, they are willing to give a blind eye to what is going on right below their nose. Even though there are two brigades stationed around the mining area for security reasons, soldiers are not allowed into the camp. What Segen and the other subcontracted companies do is, they provide the soldiers (be it from these brigades or others) with their work uniforms and mingle them with the rest of their workforce and then drive them into the camp. Abadi talks about how these conscripts bitterly complain, often comparing their meager salaries with the rest. The rest of the workforce is warned that if they let this secret out to any of the foreigners, they will be severely dealt with. The foreign workers have buses that transport them from their living quarters to their work place. On the other hand, the natives are transported by the same trucks that have been hauling soil and rocks in the workplace, exposed to all the hazardous elements that frequent that mining area. If by any chance these tracks happen to meet any of the foreign workers on their way out to the lodging quarters of the “natives”, Abadi tells us the Segen supervisors shout at their workers to hide. As usual, it is the crude ways of the PFDJ at work; this organization believes that it can outsmart any organization, be it local or foreign. Two of the incidents that Abadi mentions for comparative purposes give us a glimpse on how far the Eritrean government is willing to go to maximize its profit in the mining projects at the expense of the poor workers. These two incidents have to do with the insurances the workers are covered with; one real, the other nominal. When one foreign worker died of accident, Abadi tells us that his family was well compensated. Simply put, all the insurance money meant for such occasions went to his family. But when an Eritrean worker working for Segen Company died of accident in the workplace, his family was not given any compensation. And this is not because Segen was not insured in doing this task; Senet wouldn’t subcontract Segen had it not qualified in insuring its workers. So what the government-owned company has done in this case is horrifying: it simply pocketed the compensation money meant for the family of the deceased. This is a regime that has no qualms even in robbing the dead. This insurance scheme that the regime uses to enrich itself is similar to the other schemes it uses, in that it is not only systematic, but can be done at one-go. We have seen how it uses the exchange rate system in its banks to rob two thirds of their salaries to those who are supposedly paid by hard currency. This also true in its subcontracting scheme in general: the government owned companies are paid tens of millions of dollars, in lump sum, to do certain assigned jobs. Little of that money trickles down to the workers. Given the totalitarian nature of the regime, that the security apparatus used in the camp is meant to primarily intimidate the workers is not surprising. The two brigades stationed nearby to protect the camp have nothing to do with this security apparatus. That job is given to the most trusted section of the overall security network spread throughout the nation: Dihnet Hizbi (People’s Safety). In one revealing moment, Abadi says that even the soldiers dread them. Dihnet Hizbi has its presence both at the entrance gate of the camp and in an office inside the camp. But this is only the officially visible part of the department. Its main presence lies among the workers themselves. Abadi Ghebremeskel talks about the environment of fear and suspicion that prevails among the workforce because of the many workers among them that double as minders and spies. Anyone who has been seen talking to the foreigners frequently or for an extended time is a prime suspect. And the list of the subject matter that they are not supposed to talk is long: the use of slave labor, safety issues, sabotage that occurred outside the camp, etc. Reprisals include expulsion and imprisonment. In one instance, the excuse given for the imprisonment of two fellow workers was “corruption” – an old and tried accusation that the PFDJ uses to implicate undesirable elements. In this summary, we tried to confine the analysis to the workplace. But the interviewees go beyond the workplace to give us the full picture of the adverse effects the mining industry is having in the nation. The interviewees talk the adverse effects the mining industry is having on the indigenous population and the country at large. They tell us that the former are victimized trice over: their grazing land has been confiscated without any compensation; in case of sabotage (the mention two such sabotages: one undertaken by the Kunama movement another by a Jihad movement), the reprisals primarily fall on them; and they are the least to be hired. And when it comes to the benefit the country might get out of these mining endeavors, none of the interviewees believe there is any. The only beneficiaries seem to be the party (the PFDJ) and the generals and colonels. Those who are getting employed in the mining projects are those who are well connected; and those in power happen to be the generals and colonels. One of the arguments used against sanctioning the mining sector in Eritrea is that it will have a trickle down effect in the economy, and that eventually the poor will profit. But what we have actually seen in these interviews is that not only are all the profits directly flowing to the PFDJ’s coffers, but that it is done by preying on the poor workers. The regime wants to maximize its profit not only through legitimate means, but also by exploiting its workers in the most inhumane way – poor salaries for the fortunate ones; slave labor for the army conscripted; little safety in a hazardous workplace; and poor food and dismal lodging. Neither the indigenous people in the surrounding area nor the country at large is also benefiting. Both interviewees point to the fact that Isaias, in his interviews, has often underplayed the role the mining boom will have in the nation’s economy is meant to lower expectations among the public, so that the revenues could be safely used for his priorities: tightening the totalitarian grip on his subjects and sponsoring terror in the neighborhood. If the mining revenues are mainly to be used for further oppressing the Eritrean people and for destabilizing the region, then it makes perfect sense for the international community to sanction the mining companies that are providing a lifeline to the most brutal regime on this earth. Thus, asmarino wholeheartedly supports IGAD’s call to further sanction Eritrea, and hopes that the UNSC follows up on this proposal and imposes a stiff sanction on this brutal regime. At the end, we would like to tell our readers that another interview with the former employees of Bisha-Nevsun is scheduled to take place soon. Things that have been left unexplored, unexplicated, unclear and ambiguous will be covered. 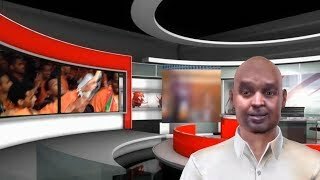 As soon as we get the audio/video, we will make it public and at the sane time provide a summary and analysis in English. Asmarino recommends the following articles that have originally appeared in asmarino.com and that have addressed some of the issues raised by these interviews: slave labor used in mining companies, PFDJ’s banking scheme based on outrageous exchange rate system, the role of PFDJ-owned subcontracted companies in the mining industry, the lifeline that the Western mining companies are throwing to the totalitarian system, the cynicism of the mining companies in providing a sanitary picture of the regime to the world, the curse of the gold rush in Eritrea, etc. 1. 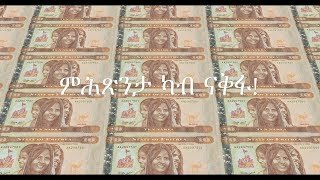 On how the mining boom in Eritrea not only fails to benefit the ordinary Eritrean, but is having adverse effects to both the country and region, look at Zekre Lenbona’s Mining Boom in Eritrea: Blessing or Curse?